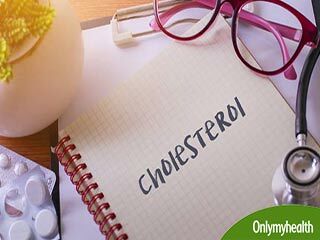 According to cardiologists, everyone over the age of 20 should be tested for high cholesterol level once every five years. 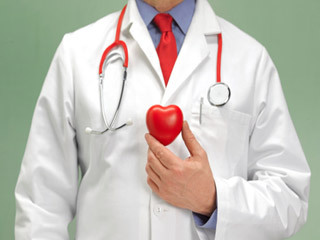 Those who are considered to be at high risk of heart disease need to get themselves screened even more frequently. 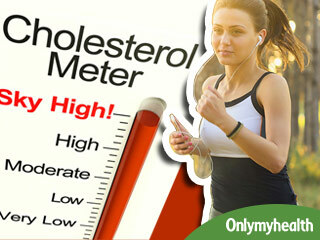 If your cholesterol level is above normal, you need to take steps to bring it down. You can succeed in your effort of lowering the amount of cholesterol in your blood by having soluble fibres such as oatmeal. Soluble fibres are substances that do not get absorbed in your body but go through your stomach, intestines, colon and then exit from the body. There are soluble fibres and insoluble fibres, i.e ones which get dissolved in the body and those that do not respectively. Insoluble fibres are good for the digestive system and help cure constipation. Soluble fibres form a gel-like substance in your digestive tract after dissolving in water. 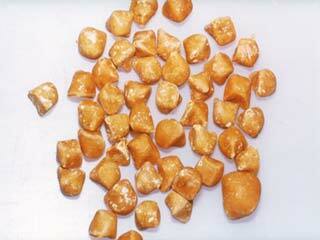 These soak up the bile salts full of cholesterol in the small intestine and remove them with the waste. Now, as the bile acids are removed, the liver needs to produce more of it. 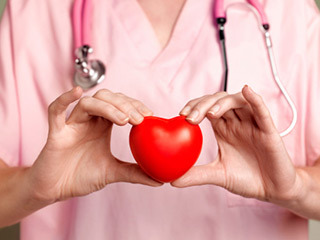 To do that, bad cholesterol (LDL) is pulled out from your bloodstream which brings your cholesterol level even further. 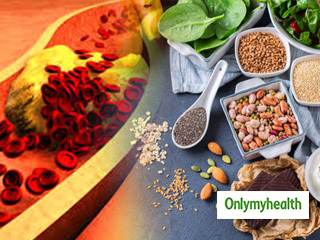 Foods that contain soluble fibres are flaxseeds, beans, barley, raw fruits and vegetables. 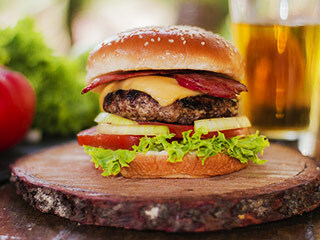 Avoid Saturated Fat – You need to make a distinction between saturated fats and healthy or “smart” fats. For example, canola oil or olive oil contains saturated fats while vegetable oil, butter, stick margarine or lard are some examples of good fats. 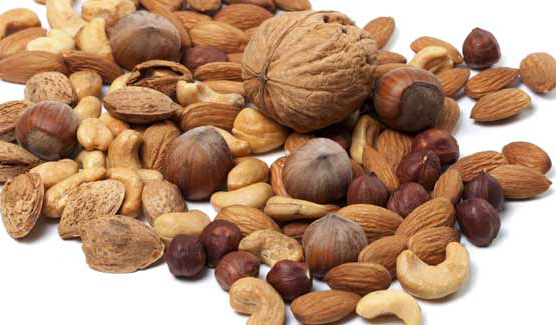 Have Nuts – Research has shown that consuming nuts regularly helps to bring down cholesterol. 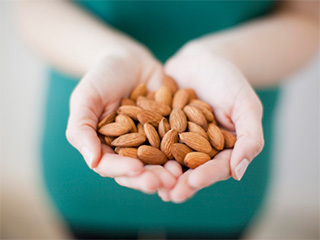 Almonds and walnuts are especially beneficial. Just need to watch out for the high calorie content of nuts. Do not have more than a few pieces. Take to Green Drinks – Having green tea is a good alternative to sodas or beverages laden with sugar which are at times recommended for lowering cholesterol. No use lowering cholesterol by increasing the chances of diabetes after all. Green tea contains those compounds which lower cholesterol. You may also opt for capsules with cholesterol reducing extract from green tea. Spreads – Take to spreads which are like margarine. You can also take to other foods that are rich in the compounds that lower cholesterol and found in plants. 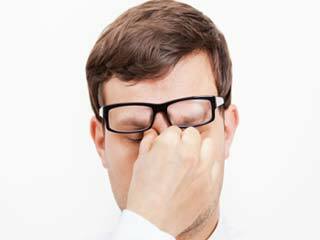 Do not Smoke – Smoking brings the level of HDL, i.e. good cholesterol down. It is a major risk factor for heart disease.